Because it was annoying me so much, I decided to take a bit of time and repaint Rom until I was happy…or at least happier. I masked the emitter and resprayed him with Plastikote Chrome Effect spray, also spraying some Warlord Cybermen at the same time. These were going to be my ‘test subjects’. I then mixed some purple ink with a touch of black ink, watered it down and liberally applied to one of my guinea pigs. And the result was what I was hoping for. I then carefully applied it to resprayed Rom, concentrating where possible on the joints and crevices. I then painted the position of the chest lights with Mithril Silver and, when dry, painted over them with Cherry Red. Having looked at Rom’s visor in the iluustrations, I painted the slot Burnt Umber, added two dots of Mithril Silver for the eyes and then washed the whole slot in Cherry Red. I then repainted the base with Dark Grey, followed by a wash of Burnt Umber mixed with Black, as you couldn’t see the texture with my original version. And the lesson I’ve learned here is – don’t cut corners to save time, as you’ll end up redoing all your work. And still within the deadline! Go me! As we’re almost two-thirds of the way through June and the last three posts on the Buffet have been on other matters, you may be under the impression that my entry for Forgotten Heroes may have been…well, forgotten. However, this is not the case, as I have been working on it behind the scenes, in amongst all the other things I’ve been up to. The first order of the day, in order to get Rom’s iconic spread-legged stance, which according to Messrs Keanrick and Mossop is the stance of a hero, I sliced his base in half and spread his legs. In order to do this, I did have to cut upwards, as it’s not evident from the picture, but right at the very top of his legs, they are joined by a very thin piece of plastic. I then jammed a trangular needle file between his thighs, bent his ankles inwards and glued him to a spare HeroScape base I had knocking about. I then cut off his head and left arm. As the base figure is looking down, when I repositioned his head to look to the left (from his point of view), there was a small wedge-shaped gap in the throat area, which I knew I would have to fill at some point. Regarding the left arm, as I wanted to preserve the shoulder joint/pad, in order to position the arm in the right place, I needed to carve off some of the left shoulderblade/back, so that the arm would sit flush and not look too out of place. This was then glued into place and the model left to ‘set’. Upon returning to the figure later, I discovered that whilst the glue had worked on the base, I’d forgotten that HeroScape bases have a sticker on top and this had pulled away from the plastic base beneath. So I decided to alter the stance to a slightly less heroic spread of legs and re-base it directly on to a 2 pence piece. So, proto-Rom was now in the correct stance, but was unarmed. Rummaging through my bits box, I eventually cobbled together his Neutraliser from various plastic odds and ends, including the remains of a plastic GW Dalek and part of a Kroot rifle.The most iconic part of his weapon is the ribbed cooling vents(?) just behind the emitter, which took a bit longer to find a suitable part. Now that proto-Rom was assembled, I needed to tidy up his base and fill the gap in his neck, or one good knock would send the head flying, so out came the Miiliput and he was given a textured base and the gap was filled. I also ran the thin edge of a needle file across his eye slot, as this wasn’t quite the right shape. And that’s the progress so far. Other than addiing the red emitter, visor and chest lights and repainting the base, I think he’s pretty much done. I’m trying to decide if I should give him a black wash to highlight the shadows a bit more, or just leave him really, really shiny. I think I’ll have to look at him in full natural light to make that decision, but if anyone else wants to venture an opinion on that, please feel free to do so. Forgotten Heroes 2018 – The Greatest Spaceknight of Them All! June is here and that can only mean one thing here at the Buffet – it’s Forgotten Heroes month! For those of you new to this blog, this annual event is now in its third year, after I came up with this crazy idea back in 2016. Full details of what it is and what the rules/guidelines are for this celebration of the overlooked and unloved can be found in this post, so I won’t go into too much detail here. Now, last year I created a whole team of superheroes, namely Image Comics’ Mystery Incorporated from the 1963 mini-series, who were a pastiche of Marvel’s Fantastic Four. If you’re interested in this “Quantum Quartet”, they can be seen in their finished forms in this post. This year, as my time seems to be a little less available than previous years, I’ve decided to just produce one figure. And the character I’ve chosen this year is Rom: Spaceknight! Rom has an interesting history, as the character was originally created by Scott Dankman, Richard C. Levy and Bryan L. McCoy for Parker Brothers in 1979. This was the first ‘action figure’ that the company had ever produced, as they were primarily a publisher of board games. 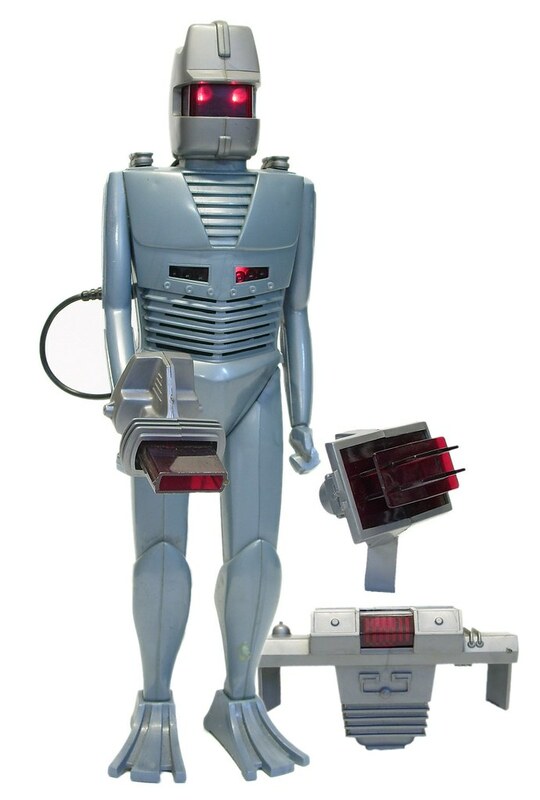 As action figures go, Rom was a bit rubbish, as it only had limited articulation at the ankles and shoulders, but what it did have was electronic lights and sounds! Woo-hoo! However, it was essentially just a large hunk of silver-grey plastic, with different ‘tools’ that Rom could hold, which made different noises when they were plugged in to him. Yes, it was a ‘space’ toy, but you could have far more fun with an Action Man, the acceptable face of dolls for boys. 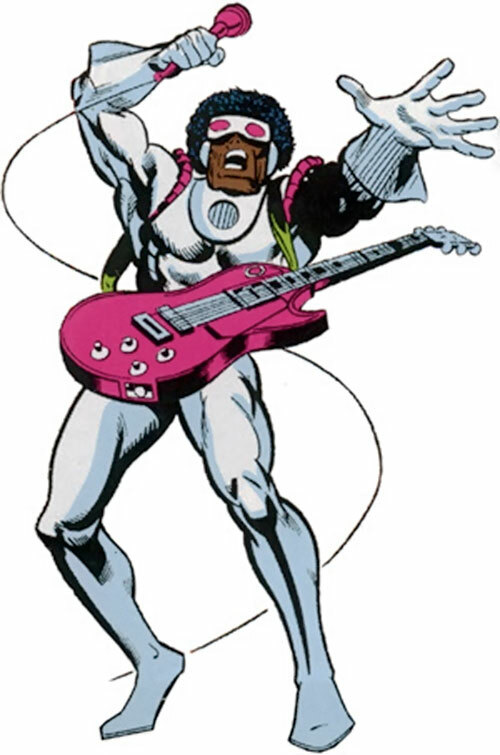 To drum up sales for the toy, the character was licensed to Marvel Comics in 1979 and in December of that year, the first issue of Rom: Spaceknight was published, written by Bill Mantlo and illustrated by Sal Buscema. The comic book ran for 75 issues up until February 1986 and the character of Rom was fully integrated into the Marvel Universe. The comic actually lasted longer than the toy it was originally created to support. Now, as the character was only licensed to Marvel, the rights to the character were retained by Parker Brothers, who subsequently became a subsidiary of Hasbro. So, whilst the comic book established him as a character within the Marvel Universe, created a supporting cast and back story for him and introduced the alien race known as Dire Wraiths, whilst all of the Marvel created characters CAN be used by Marvel, Rom can’t. So, you won’t see an official Heroclix miniature of him any time soon. He truly is a Forgotten Hero. However, a massive cyborg warrior in gleaming silver armour, armed with a Neutraliser to banish those Dire Wraiths masquerading as humans to Limbo, is just too cool to remain forgotten, and whilst the toy was a little underwhelming, the iconic image from the cover of his first issue just begs to be replicated in miniature, so that’s what I’m going to attempt. As you can see, picking a base figure that is as close to the original as possible always makes your life a bit easier. My intention is to re-position the legs to get that iconic wide-legged stance, remove and re-position both the head and the left arm and add a scratch-built Neutraliser to his left hand. The various illustrations show him using it in both his left and right hands, but I want to mimic the image from the cover of his first issue as much as possible, so he will be left-handed. As we’re nearing the first third of May, the means that the creative madness that is Forgotten Heroes is sliding inexorably closer. Don’t worry though = whilst the rules have now evolved, they’re actually broadening the scope, so should make deciding which character(s) you’re going to create a bit easier. 1. The character or characters you create must have a definitive look or image. In other words, we should be able to recognise the character from the original source material. 2. The base figure used for your creation must not be an official or unofficial sculpt of the character. Repainting a DC Heroclix Blue Beetle as the obscure Marvel villain Goldbug is acceptable, painting the Copplestone Castings ‘Kentucky Davis’ as Indiana Jones is not. 3. The figure must be in the 28mms to 32mm range. This takes into account those manufacturers whose scale is slightly larger, so if you want to create a hero or villain to fit in with your existing Knight Models or Warlord Doctor Who collection, you can. 4. The figure must be completed during the month of June 2018. 5. In your first post, you should provide a bit of background detail in the character you’ve chosen, ideally with an illustration, so we know what you’re aiming for. Other than that, the choice of character is entirely up to you. In previous years we’ve had Masters of the Universe, Transformers, costumed heroes and villains from comic books, and characters from both the small and big screens. For details of previous year’s entries, please take a look at the official Forgotten Heroes site, which can be found here. Let’s make this year even better than the last!